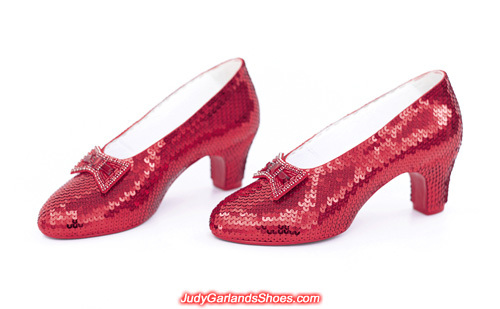 We still have 5 orders of hand-sewn ruby slippers to craft for Wizard of Oz and Judy Garland fans around the world, and most likely more during Christmas so we are bracing up for a busy period. 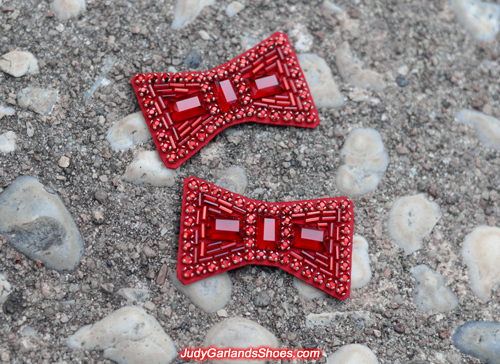 For our project in November, 2018, we will be working with Judy Garland's size 5B for a male fan, and this is a beautiful pair of hand-sewn bows we will be using. All the stones and beads are custom-made to match those found on the original bows. Our beautiful size 5B shoes to be used for this project. The shoes, the wooden heels, everything you see in the picture is handmade from scratch to match the same shape and size worn by Judy Garland as Dorothy in The Wizard of Oz. 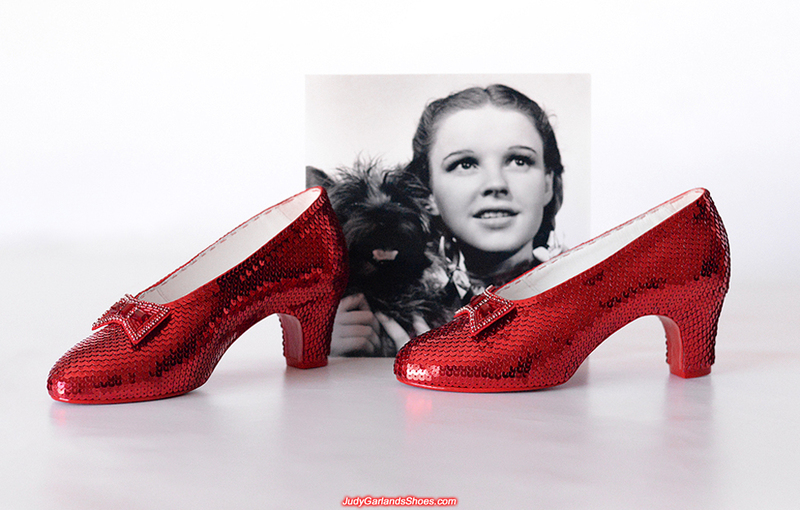 There's no doubt that she is the most adorable and talented actress in movie history. Our shoes can be worn because they are made like the original shoes. 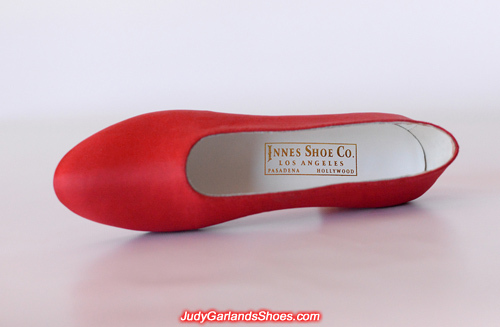 Inside the right shoe contains a golden embossed label that reads "Innes Shoe Co., Los Angeles, Pasadena, Hollywood" and along the top of both shoe reads "#7 Judy Garland." 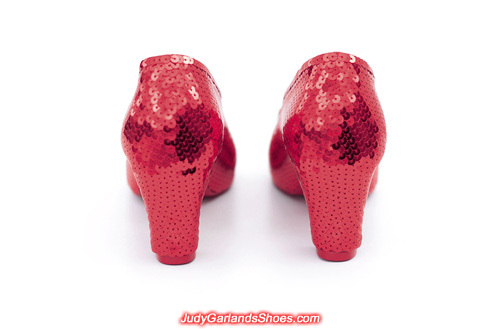 This will be a high quality hand-sewn pair of ruby slippers in Judy Garland's size 5B. 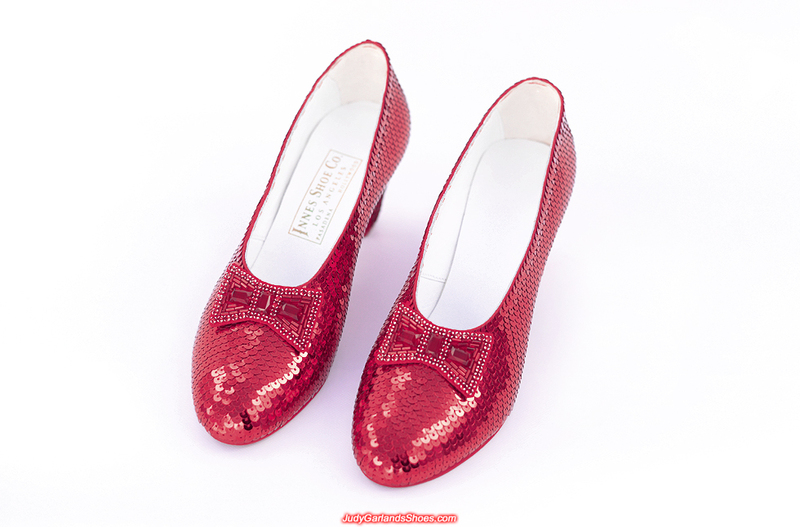 To grant our customers' wish because the person loves surprises, this project will be a bit different in that no progress pictures will be posted while we sequin the shoes, just pictures of the finished product. 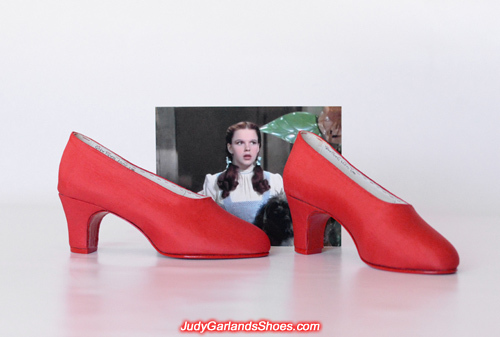 Judy Garland's wearable size 5B hand-sewn ruby slippers crafted in November, 2018 is finished. 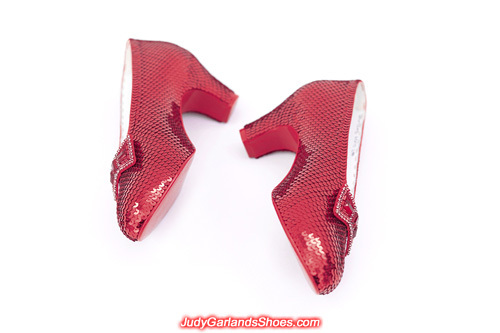 By the way, a pair of hand-sewn ruby slippers we crafted recently for the 2018 production of "A Star Is Born" was filmed with Lady Gaga and Bradley Cooper but unfortunately it was cut from the final film to reduce the running time. 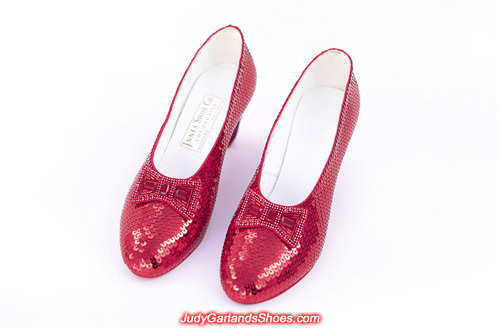 It would have been interesting to see our ruby slippers in the movie but it was still a joy to make a contribution. The deleted scene may still be available on DVD in the future. 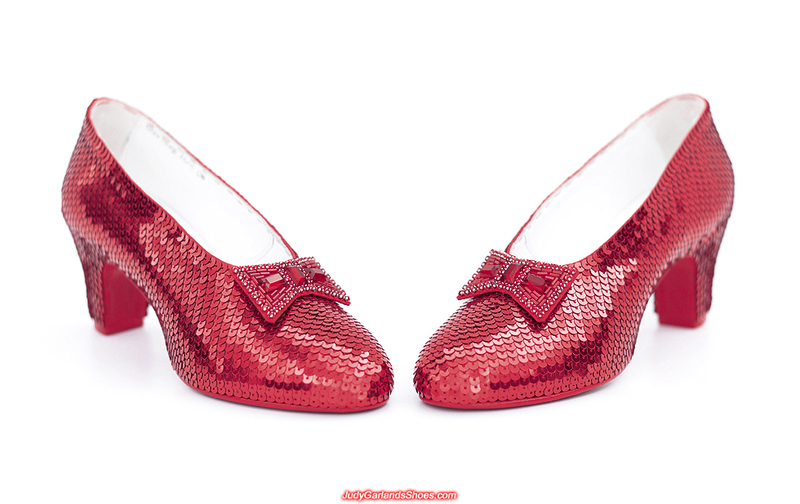 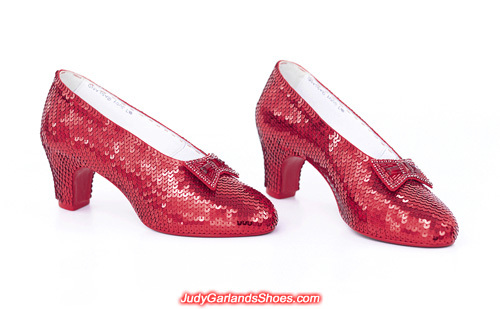 A-grade hand-sewn ruby slippers crafted in Judy Garland as Dorothy's size 5B. 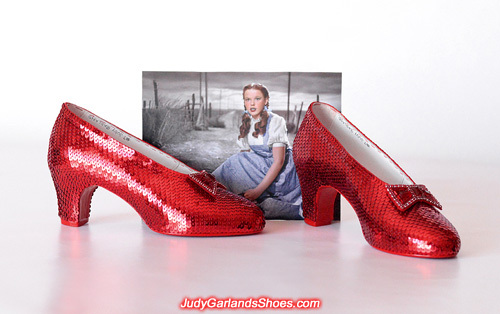 May their magic bring success and good fortune to the new owner. The final photos below completes our project with this exquisite pair of ruby slippers in November, 2018.